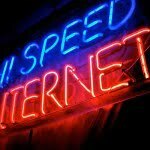 Home › Broadband › No More Slow Internet By 2017? No More Slow Internet By 2017? More Malaysians will enjoy high-speed broadband by 2017 as Telekom Malaysia Bhd (TM) joins forces with the Government to expand high-speed broadband (HSBB) and to upgrade existing sub-urban broadband (SUBB) services in state capitals and in major towns nationwide. TM will invest a collective RM2.3 billion on the initiative, now in its second phase and will be carried out over a span of 10 years. For HSBB, TM will invest RM1.3 billion and the Government an additional RM500 million under phase two of the HSBB 2 project for the purpose of planning, designing, implementing, operating and maintaining the local HSBB network infrastructure and services. The HSBB 2 would see the expansion of the existing HSBB infrastructure, covering other priority economic areas including passing industrial zones throughout the country, and public as well as private institutions of higher learning. Under the project, 95 additional exchanges will be HSBB-ready, providing access to 390,000 premises by 2017. For the SUBB infrastructure, TM will invest RM1 billion for the upgrading of existing copper lines to deliver HSBB access speeds of up to 20Mbps and up to 100Mbps in areas deployed with fibre-to-the-home (FTTH) technology to over 420,000 premises by 2019. The Government will invest RM600 million for this. Earlier this week TM said in a statement that it had signed two public-private partnership agreements with the Government for the implementation of the HSBB2 and SUBB. “The HSBB 2 and SUBB are set to benefit not only consumers but also Malaysian businesses, as we will be able to provide Malaysians with a world-class network infrastructure and superfast connectivity, boosting the development of ICT-related industries towards fulfilling the Government’s aspiration of elevating Malaysia into a high-income nation,” TM group chief executive officer Tan Sri Zamzamzairani Mohd Isa said in the statement. TM will roll out last-mile access network for both HSBB 2 and SUBB projects to homes and businesses using three main technologies, which are FTTH, ethernet-to-the-home and very high-speed digital subscriber line 2 or VDSL2. To date, TM has deployed its UniFi broadband service to 103 TM exchange areas nationwide, covering 1.769 million premises. It currently has a total of 2.29 million broadband customers, of which more than 800,000 are UniFi customers. Get exclusive rewards and promotions the next time you pay your bills by using the right credit card.